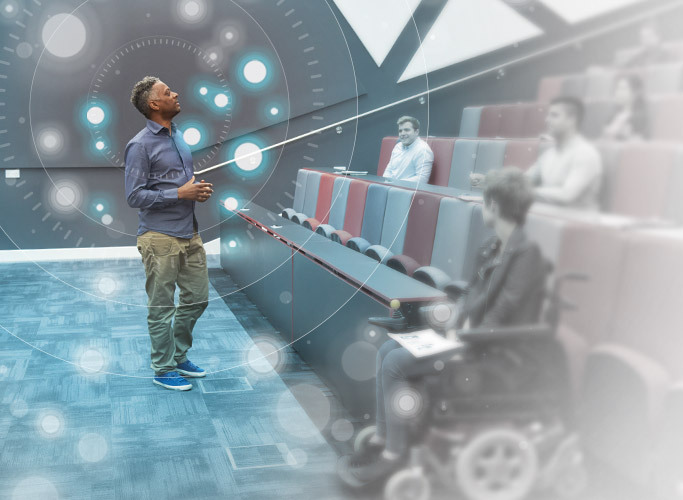 New Active Zone Control focuses audio pickup to let instructors and presenters be heard more clearly by remote participants, without the hassles of a lapel mic or headset. 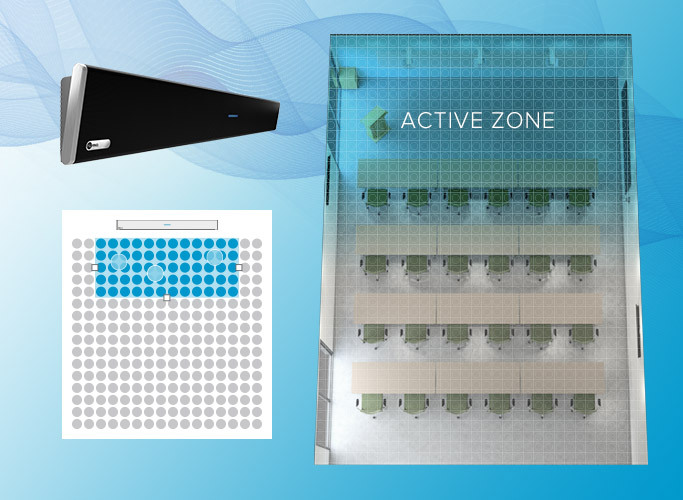 Active Zone Control focuses audio pickup from the HDL300 and Dual HDL300 systems on a configurable zone and suppresses audience noises outside the zone so a speaker in front of a class or audience can be heard more clearly by remote participants. It is an extension of Nureva™ Microphone Mist™ technology, which fills a space with thousands of virtual microphones. With Active Zone Control, a simple interface allows you to adjust the zone of active virtual mics, switching off the virtual mics in the rest of the space. With Active Zone Control, lecturers or presenters can leave lapel mics, headsets and the hassles of changing batteries behind. They can move freely in the active zone, confident that remote participants can hear them above room noises. And when they want audio pickup throughout the space – for questions from the audience or group discussions – they can switch to full-room pickup with just the click of a button on the remote for the HDL300 system. 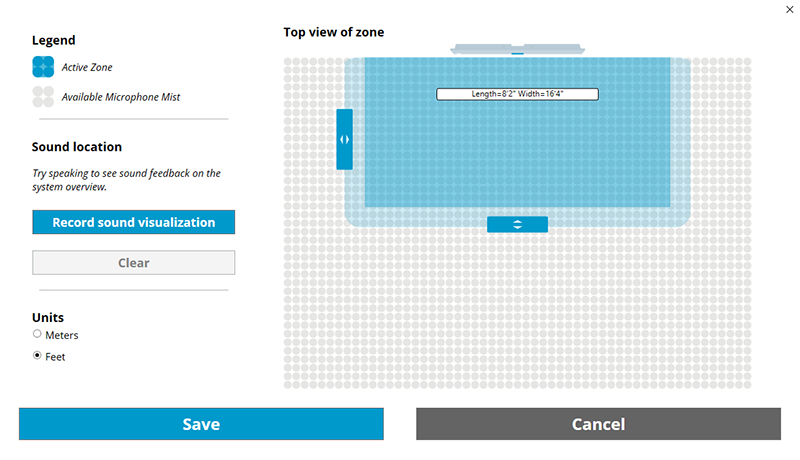 The simple interface in the Nureva Room Manager makes it easy to set your active zone. Just drag the tabs. Audio pickup will be focused in the blue zone while the virtual microphones in the rest of the space will be turned off.